With a number of new satellites being launched for our region in 2008, the diverse choice of views, education and entertainment received by satellite will continue to expand at a phenomenal rate. Satdirectory is a full multimedia catalogue of free-to-air signals available from major regional satellites to backyards in Australia and New Zealand. With six DVD video disks and the companion dvd-rom content, Satdirectory features over eleven hours of world television and fourteen hours of radio from hundreds of broadcasters around the planet. WorldSpace satellite radio, listen outside the footprint! Al-Jazeera, About to shake up the English language news networks? It's now been some time since the release of the Satdirectory DVD Video, DVD-ROM and website. The last year has certainly been an exciting and very hectic time for members of the Satdirectory team. The email we receive makes it clear that the Satdirectory project is filling a void for satellite television enthusiasts who are specifically interested in the rich variety of programing available via free-to-air satellite. As we hoped, Satdirectory appeals to dish owners in Australia and New Zealand, but what was slightly unexpected was how many people had heard about free-to-air satellite television but considered it to be very technical, complicated and purely the domain of ham radio operators. MediaExplorer introduces us "regular guys" to broadcasting's fastest growing segment. Satellites are transcending territorial boundaries and offering fresh, original entertainment and viewpoints first-hand. MediaExplorer is the retail edition of the Satdirectory DVD set that has been optimised for those who are interested in exploring foreign media, virtual travel and thinking globally. MediaExplorer is now available at bookshops and our online store. Visit our new sister website www.mediaexplorer.org . Did you know that there are hundreds of free to view satellite television channels beaming into your backyard? An inexpensive satellite dish is all you need to discover new people, customs, music and cultures. For the first time ever the complete collection of Australia's popular technology and hobby magazine is available as a complete archive. The collection begins in April 1939; the first issue ever published and includes all issues through to the final issue in March 1965. This extraordinary collection provides a rare insight into years of discovery and technology. 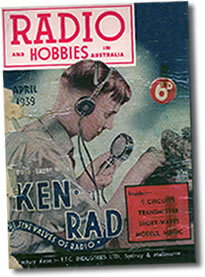 This archival collection spans nearly three decades of Australia's own "Radio and Hobbies" (which became "Radio TV and Hobbies"). Every article has been painstakingly scanned into PDF format - ready to read at your leisure on your computer again and again. For history buffs, it's worth its weight in gold. For vintage radio enthusiasts, what could be better? For anyone interested in electronics, this is one which you MUST have in your collection!. 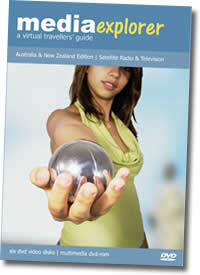 Radio TV and Hobbies is now available from Australia's leading newsstand technology magazine; Silicon Chip. Thousands of copies have already been sold, get hold of your very own copy now! Visit the Silicon Chip Online Store for more details and to purchase online.